Need help getting your grocery budget under control? Here are 10 ways to save money on groceries and only three of them require using coupons or coupon apps. My reasons for saving money on groceries have changed over the years. 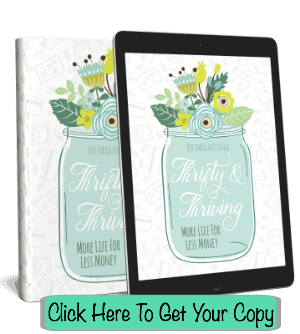 At first in our early years of marriage, I wanted to spend as little as possible so that we could use what I saved to pay down debts. Now with our debts paid, we can spend a bit more but I still set a realistic budget that fits within our means. I have also learned so much about good nutrition since my mom’s battle with cancer that took her life several years ago, that my goal is now to squeeze in as many whole foods as possible as well as buying the dirty dozen organic and much of our dairy products. 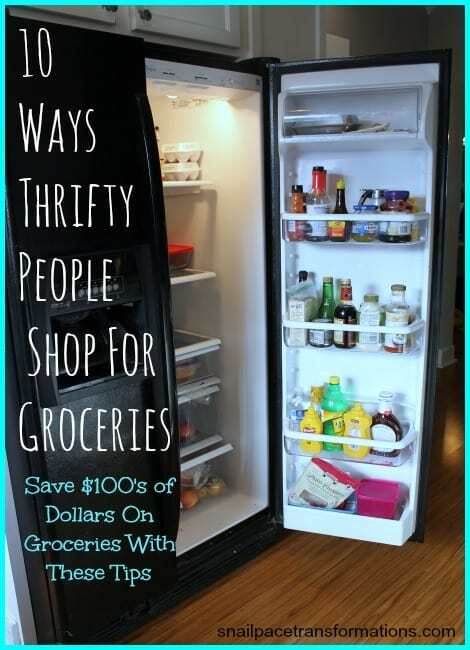 Still no matter what your grocery budget goal is these 10 thrifty ways people save money on groceries can help you reach it. How does menu planning save you money? It makes aware of what you already have on hand so that you don’t go out and buy more than you need. It helps you eat out less since you have a weeks worth of dinner ideas at your fingertips and all the ingredients to make them. Menu planning can seem like a drag to most people. I know it did me until I set a timer one week and figured out that it takes me under 10 minutes to go through what sales bought items I already have on hand and figure out what meals I could make with them and what ingredients I will need to buy to round out the meals. Currently, I don’t make our bread (there is a tip further down the list that explains why) but I still use my bread machine as often as a few times a week baking up dinner rolls, cinnamon rolls, pretzel bits, pizza dough, breadsticks and more. 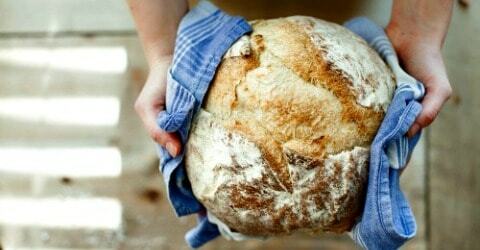 These items are often pricey in the grocery stores but they don’t take long at all to make when you use a bread machine. There are coupons out there available for not just junk food but whole and organic foods. My biggest source for them in my town is my Mperks membership for Meijer. 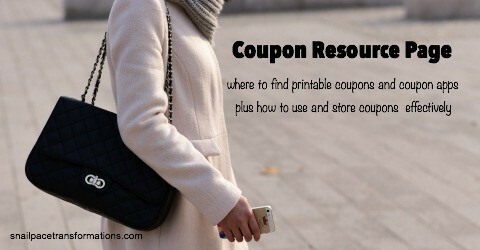 Each week I load up my account with coupons for items on my list. Another source is to Google your favorite grocery products and see if they have websites that may contain printable coupons. Ibotta -not only can you use the Ibotta app at the grocery store but you can also use it at the pet store, hardware store and much more. Fetch Rewards – (use my referral code RE9FU at sign up for 1500 points when you complete one receipt.) Fetch Rewards works with 150+ brands to bring you points that you can cash in for gift cards. Shopkick –You can earn more by purchasing specific products and uploading the receipt, but you don’t have to buy anything to collect gift cards through the Shopkick app. You can sign in when you enter select stores and earn kicks for entering the store and/or by scanning select products while you shop. Makeena – This is an app I am just starting to explore. It offers rebates on organic foods including many “any brand” offers that include items like milk, eggs, and various organic vegetables and brand specific deals. Go here to sign-up for Makeena and use my referral code TWNAVD during sign up to earn 1000 points (equals $1) once you upload your first receipt. CoinOut – CoinOut earns you cash back with almost any receipt/purchase. You can choose from three payment options (PayPal, Bank Deposit, or Amazon), and two of them have zero minimum earning amounts. There is a daily limit on how many receipts you can upload in a day, but the receipts can be a few days old before you upload them–which is a nice feature for us forgetful folks. SavingStar – Earn cash back on your groceries with exclusive freebies, coupons, and significant savings on your favorite brands using SavingStar. You can link deals to your store loyalty cards, but you can also submit a picture of your receipt to earn money in your SavingStar account. Go here to sign-up for SavingStar. You could be surprised what you could find in that stack of flyers in your mailbox. A few months ago I found a $5 off $25 purchase coupon for Aldi in a stack of what just looked like trash offers. I have also found high-value toothpaste coupons which combined with sales has led to free toothpaste. About a year ago I discovered a discount bread store that stocks the 100% whole grain bread my family eats for significantly less than the stores carry it for and even less than I can bake it for so we made the switch. The store is a bit of a drive for us but it is in a city that we visit a few times a year for various events so when we go we buy 2 to 3 months worth and fill our freezer. We don’t eat a lot of meat but when we do it is normally bought from the markdown section. This saves our family and an additional 20% off. 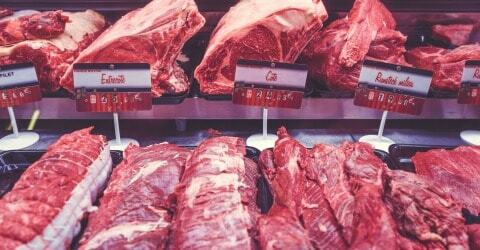 Sale meat goes into the markdown pile more often than people would think making the prices even lower. My price book comes out of the woodwork about once a year as I do an annual checkup to see if I can beat my current best price for items. The price book helps me find where to find the best price on items that don’t normally go on sale, as well as what is a good sale, and what items are cheaper at the warehouse store. I find if I spend about 30 minutes each week for a month updating it, I am good to go for another year. Ideally, for maximum savings, I would carry it and update it all year, but that has yet to happen. I find deals on groceries that can’t be beaten by my grocery store at Big Lots all the time. I especially love their 20% off nights for buzz club members as well as the special $5 off $15 purchase coupons the send members in the mail now and again. These make the deals go from good to amazing. I have friends in other towns that rave about their local scratch and dent grocery stores, or their dollar store food finds. Every town differs as to what deals are available the key is to get out there and look around. Vinegar and baking soda make up the bulk of the homemade cleaner recipes you can find on Pinterest (follow my Homemade Cleaning Products board if you want some ideas). These cleaners cost just pennies and work as well as the commercial brands. Want more great tips on how to cut the cost of your grocery bill? 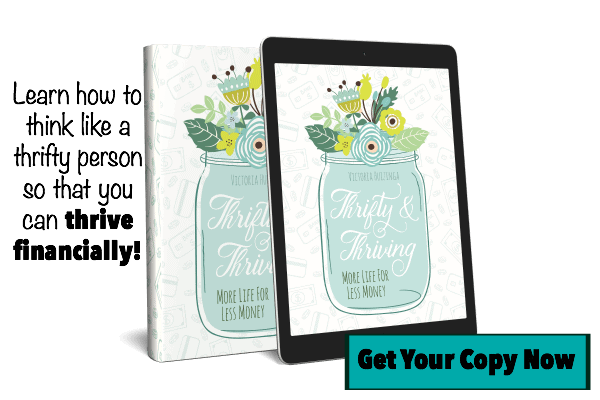 Check out my favorite book on how to save money on groceries without relying heavily on coupons. 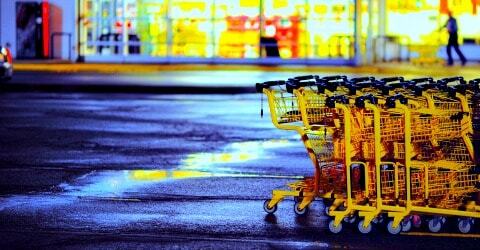 3 more articles that will help you lower your grocery bill..
psst….looking for Thrifty tips? 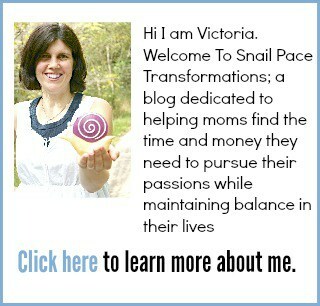 join my Thrifty People of Snail Pace Transformations Facebook Page. Yes! These are wonderful tips! I also often find better prices on some specialty items online than I can in a store. Things like vanilla beans for homemade vanilla extract, flaxseed meal and such. These are great tips. Definitely pinned this one. Thank you for joining us for Fabulously Frugal Thursday. I love this list!! What about local co-ops? We’ve used those for years (about 21) and it’s helped our family save money. We now deliver for Azure Standard to 21 different states (we own a trucking company). I can often get organic apples for less than 1.00 a lb. Not everything is cheaper but it’s been a huge help in our family budget!! I really want to try out Azure standard. I have heard so many good things about the company. I heard to recently that they were soon going to be doing deliveries near us,so thanks for the reminder. Thank you for this, who isn’t looking for ways to cut back on the grocery bill! Meal planning is a life saver. My brain has lots of gaps too! And it seems to be getting worse by the day. Good tips. The only tip that I disagree with is #4. You mentioned a flyer coupon saving you money at Aldi’s. Every Aldi’s I’ve ever been to does NOT accept coupons. So that comment is illegitimate. Nope it is legitimate.I get a Coupon for $5 off a $25 purchase at least once a year from Aldi’s in the mail. I live in Indiana. I have noticed that the coupon always states that you can only use it at certain locations. I too live in Indiana and have gotten those. So yes, it’s legitimate. Great Ideas! I love your blog, saw it on Facebook! Very similar to the topics I talk about as well so I’m glad to get to know a like-minded friend! The foaming dispensers…foes that just help on “portion” control so you end up using less? Yes, since I started using foaming dispensers our soap lasts 3 times as long. I use them for hand soap, hand dish washing soap and body wash. With 3 teenager in the house this one tip saves me well over a $100 a year per product (my one son has sensitive skin so I have to use only certain brands). You fill the containers with 1/3 soap and 2/3 water yet it comes out of the dispensers nice and foamy. I’m definitely going to try the DIY cleaning supplies, I’m sure it will save lots of money. I also shop ads, use coupons, and base my meals on what’s on sale. I only buy treats when I have extra money to spend. Great tips (esp. the Big Lots), however two of those don’t apply in our house. Bread is Kryptonite in my house. Bread is the evil of the world. (what happened to “The staff of life”?) Carbs are the enemy therefore bread is the enemy. As the old Country song says: “I just can’t eat without no bread”, but I’m learning. I love these tips! We used to have a discount bread store, but all the ones I know of have gone out of business. However, I haven’t looked for a new one in a long time, so thanks for the reminder that I should check that out again. These tips are really helpful and unique! I sometimes get my mind stuck on saving right when I get money, but these are helpful for saving when shopping or trying to reduce shopping. I really like the foaming soap idea too! You never really know how much or something you use before you find a way to conserve it, which is great with the soap dispenser. Would be even helpful for things like shower gel too. After reading the discount bread idea, it reminded me that there is a local sandwich shop in my town that has 75 cent day old bread my mom always gets. A great way to save and make your own sandwich at home, but tasting similar to a $6 one from the sandwich shop! The smallest savings can make a real difference in the long run. Yes small savings do add up! And we actually do use the foaming soap dispensers for shower gel and it works great!